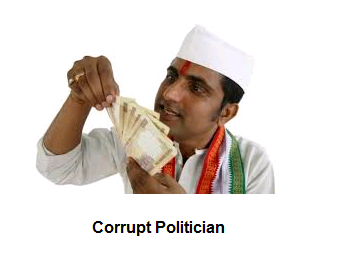 This scam list shows that politicians are corrupt at every level. Corruption is common in every state. 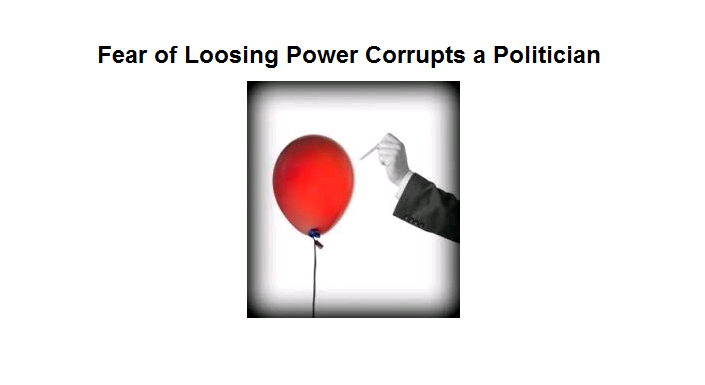 Politicians feels that they positions are insecure and they are not caring to be sincere. With in a their 5 years tenure they want to earn as much as possible to safeguard their future. They are not confident to get elected for next session or they want the money to save them from investigations if their opponents come to power next time. There are very great politicians in the past and in the present political arena. They are constantly fighting to curb corruption, uplift the downtrodden, educate the voters about the value of vote and its power, try to motivate the fellow politicians to come out of their fears. They are constantly trying to save democracy. Can Politicians Answer This Question? Chopper Gate Scam: Many politicians and defense personnel are involved as accepted bribes for supply of 12 AgustaWestland AW101 helicopters to India. Coal Scam also called Coal gate involving the Prime Minister and his office for allocating country’s coal deposits to public and private sector companies by Prime Minister. Rail Gate Scam involving Railway Ministers nephew for allegedly accepting a bribe from a member of the Indian Railway Board, in exchange of getting a higher ranking position on the Railway Board. Antrix Devas Deal involving former ISRO chairman and three other scientists who were responsible for a controversial contract between Antrix Corporation and Devas Multimedia Private Limited. CWG Scam is the only scam that attracted the whole media worldwide just a day after the conclusion of the Games, the Center announced formation of a special committee to probe allegations of corruption and mismanagement against the Organizing Committee (OC). Fodder Scam:Known as the mother of all scandals involving Bihar Chief Minister Lalu and the case is going on till two decades in the town of Chaibasa, Bihar. Stock Market Scam involving stock broker Ketan Parekh from Mumbai,who allegedly did circular trading with many companies, including Global Trust Bank and Madhavpura Mercantile Co-operative Bank. High Tech. Scam involving Satyam Computers and its Managing Directore Ramalinga Raju, the biggest scam ever to hit India’s IT sector swindling the companies balance sheets. Securities Scam also called Big Bull, scam involving stock broker Harshad Mehta engaged in a massive stock manipulation. Adarsh Housing society scam: In this scam the was converted into a 31-storey highrise building for private parties. Cash-for-votes scandal: This scam is ever green. From municiapal elections to general elections politicians are buying votes from voters by offering money wine, products. There is no way this scam can be stopped. This scam is common is among high ranked politicians. Bellary Mining Scam: Gali brothers from karnataka . the mining mafia dons are associated with this scam and heavy payoffs are made to karnataka (the then) chief minister BS Yeddyurappa, for offering mining contracts to the Gali brothers in Obulapuram mining company, in Bellary. A chit fund scam called Saradha Group scam is money swindling through fake,financial schemes in West Bengal. Taj Corridor case:In this scandal former Uttar Pradesh chief minister Mayawati and Nasimuddin Siddiqui her college were charged with corruption. Uttar Pradesh NRHM Scam:A health related scam involving top politicians and bureaucrats siphoning out Rs10,000 crore from the National Rural Health Mission, a central government scheme. This amount is side tracked to the beneficiaries which was originally meant for health care delivery in rural areas. Corpene deal scam is the India’s biggestt bribery scandals, in which Rs500 crore is alleged to have been paid to government decision makers by Thales, the makers of the Scorpene submarine.